The most beautiful features of the face are the eyes, smile, and skin. A beautiful or handsome nose blends with the surrounding facial features. If the nose is not in balance with the face, it can often draw attention and detract from one’s appearance. 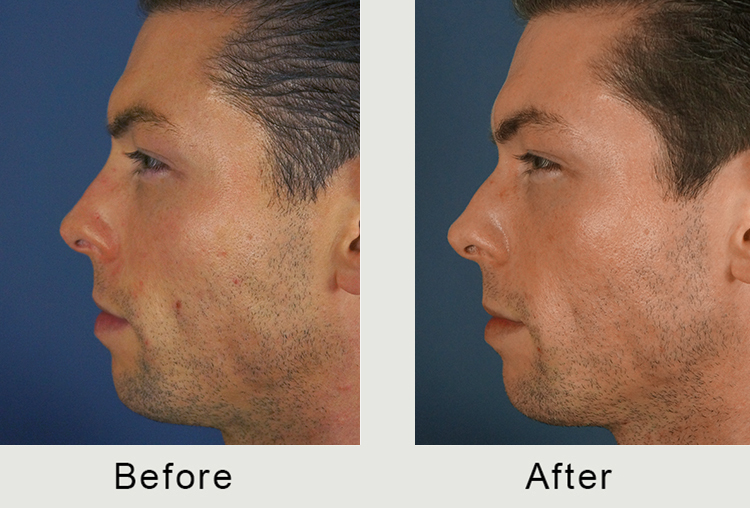 This is the most common reason why patients seek a non-surgical rhinoplasty in Charlotte at Carolina Facial Plastics. A non-surgical rhinoplasty is an in-office procedure where injectable fillers are placed in the nose to change its shape. Injectable fillers have been successfully and safely used for facial augmentation and enhancement for many years. Facial injectables do not change the underlying bone or cartilage shape of the nose. By adding volume, facial plastic surgeon Dr. Jonathan Kulbersh can enhance the nose and create a shape that blends with the surrounding facial features. Patients should think of a non-surgical nose job as a high end and long lasting camouflage technique. What Are Common Reasons for an Injectable Rhinoplasty? Nasal Bump – Patients that have a nasal hump or bump are excellent candidates for non-surgical rhinoplasty. Fillers can be added above and below the nasal hump to camouflage it. It can change a masculine or harsh nose into a softer and more feminine nose. 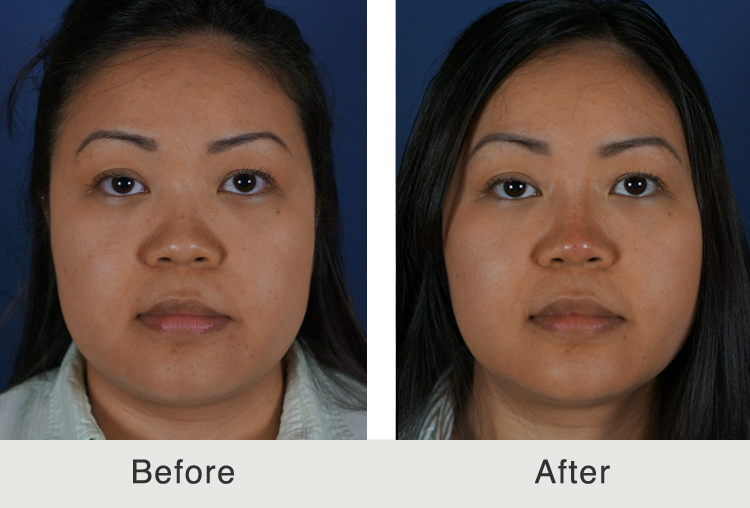 Improved Bridge Definition – African-American and Asian noses typically have wider and flatter nasal bridges and dorsums. If this nasal shape is present, it can limit the definition of the nasal bridge. 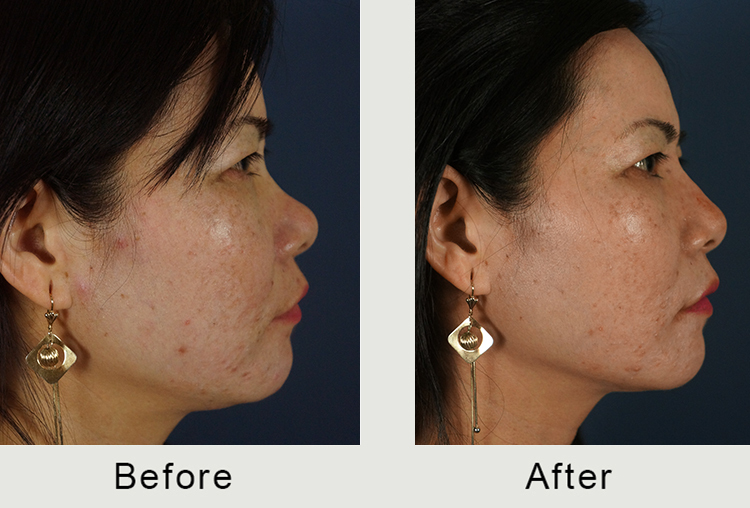 The nasal bridge can be effectively raised and defined with dermal fillers. Crooked Nose – There are many causes of a crooked nose. One common cause is a depression in the nose. This can create an illusion of asymmetry and crookedness. By simply filling this depression, it can significantly straighten a crooked nose. Correcting Asymmetries – Noses are inherently asymmetric when comparing the right and left sides. This can be exacerbated in some patients after a previous rhinoplasty surgery. These asymmetries can commonly be improved with injectables. What are the Steps in a Dermal Filler Nose Job? A non-surgical rhinoplasty procedure typically takes between 10 and 15 minutes. Before the procedure, numbing cream will be applied to the nasal area. After numbing, the injectable filler will be placed at strategic points under the skin. Two weeks after the filler treatment, Dr. Kulbersh will have the patient return to the office for an evaluation. At that time, he will inspect treatment area to ensure the best result. If any improvement is possible, the additional filler will be placed. Is a Filler Treatment Painful? A non-surgical rhinoplasty is well-tolerated and has minimal discomfort to patients. The use of numbing gel significantly limits any pain during the procedure. The results are long-lasting. The filler will typically last one year. Most commonly, patients will repeat the process on an annual basis. Can Patients Still Have a Surgical Rhinoplasty after a Filler Rhinoplasty? Patients commonly undergo a surgical rhinoplasty after a non-surgical rhinoplasty. Before undergoing a rhinoplasty, it is important to ensure that any filler placed in the nose is no longer present. In situations where patients had a hyaluronic acid filler placed, it can be dissolved in the weeks leading up to a rhinoplasty surgery. The common hyaluronic acid fillers are Restylane and Juvéderm. Radiesse can be used, but it cannot be dissolved, therefore, Dr. Kulbersh prefers to not use Radiesse for nose augmentations. What is the Recovery or Downtime Afterward? There is little recovery or downtime after a non-surgical rhinoplasty. After the procedure, the patient should expect swelling in the nose for a few days. Anytime a patient has an injection, there is always a risk for a bruise. Patients should restrict physical activity and wearing glasses for one day afterward. Read more about non-surgical nose job at Wikipedia.org. How Can I Learn More About an Alternative Rhinoplasty in Charlotte? Dr. Jonathan Kulbersh is both an expert in facial injectables and rhinoplasty. He is a double board-certified and fellowship-trained facial plastic surgeon with an office in the South Park area of Charlotte, North Carolina. If you would like to learn more about your options for a rhinoplasty, please consider a consultation at our office. A consultation can be requested by calling (704) 842-3644 or using our online contact form.